Well it looks like the rumor mill actually churned out a nugget truth for once. Earlier this month we reported on the possibility of Nissan resurrecting the Datsun brand. Now we can confirm those reports as 100 percent accurate. 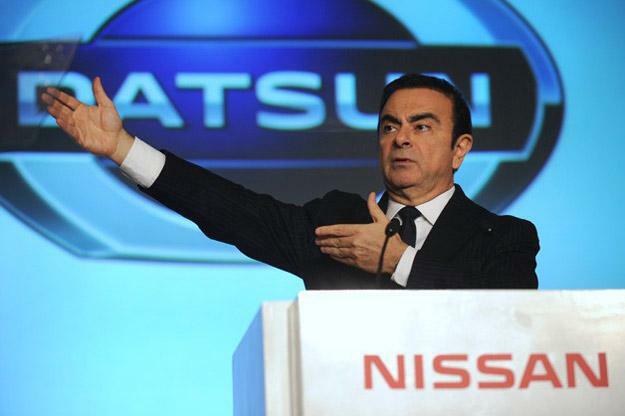 Nissan CEO Carlos Ghosn has officially announced the reintroduction of the Datsun name, bringing the up-until-now defunct nameplate back into the fray alongside Infiniti, giving Nissan its third global brand. Sadly, as we mentioned before, the Datsun brand will more than likely not make it to established markets in Europe or the United States. Instead, the Datsun brand will be used primarily in emerging markets such as Indonesia, India, and Russia. With Datsun, Nissan will look to strengthen its presence in these particular markets by offering consumers inexpensive, fuel efficient vehicles with a healthy array of standard features. Given the growing automotive market and potential for emerging markets like Indonesia, it’s no surprise companies like Nissan are looking to capitalize and strengthen their positions. In 2011 alone, Nissan sold 60,000 vehicles in Indonesia. Nissan expects that number to rocket up to about 250,000 units by 2104. A figure that is more realistic than you would imagine when taking into account Indonesia’s growing automotive economy is expected to double in size from its current 890,000 vehicles per year by 2017, according to analysts.